I am Mike’s assistant and also an administrator on the Backyard Growers Business Center forums. I thought I would share this dialogue with you to give you an idea about what goes on there. Using my last three minutes as a (free) member to say thanks for the advice and encouragement. I’m looking forward to coming back as a permanent member later on, hopefully after my first plant sale. Glad to have you here and hate to see you go. Waiting until after a plant sale to come back might not be the best approach. Being here daily if you can swing it will make things happen so much faster and if you sell a few things here on the board that could be enough to pay for your membership. Opportunities inside the members area abound, year round, season by season. Membership here runs about $2.20 a day until paid up. A person here could purchase liners on the board, pot them up, sell them on Craigslist and or Facebook the next day and pay for a membership. I know most people don’t think that way, but it really is possible. There are a lot of ways, opportunities to pay for your membership here and the very people that will help you achieve that are right here in this group. Ask them, they will help. I understand your situation. I was so short when I decided to try to do full time membership that I had no idea how I would make the payments. It was nip and tuck, but they were super understanding. They even let me change the date to a better time in the month ($$$ wise). It has been one month at a time, but I am almost there! 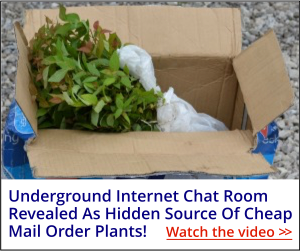 I have purchased many cuttings, rooted cuttings, and liners at great prices and in great condition. I bought the pots from Mike and just recently the misting system (which is working perfectly and proving to be the missing element in getting my cuttings to take off). I have gotten much needed answers to my questions about every stage of the process, too! Seriously, this connection made me feel as though what I was trying to do was REAL, not just a day dream. The oldest members are the first ones there to help you along! If there is anyway you can swing it, I hope that you will try to go for the full time membership! Best of luck to you, either way! I agree with Mike. The value of staying on here is difficult to measure in $, but the information and the daily encouragement is worth way more than the cost. When I first joined, I struggled to meet the monthly cost, but I focused on how much I needed to make daily to stay on the board. 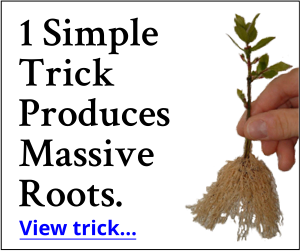 It worked out to only a few bucks a day, which adds up to only about 1 1/2 plants a day or something like that. Do whatever you have to to stay on here is my advice. I went to the box store, bought 1 quart perennials, potted them up to 1 gallons, let them root in for a few weeks and then sold them at a profit using Craigslist ads to promote. That’s an easy way to pull in the extra money needed to pay for the board. Being forced to come up with the money to pay for the board when you aren’t sure how you’re going to forces you to think and to take action that you might not otherwise take. Once you are free of the burden of worrying about the membership fee, you will find you don’t have as much motivation. We’ll still love you whatever you decide to do, and if you do go and come back, we’ll be glad to see you back! If you’re really passionate about plants & this is something that you really want to pursue, you will somehow come up with the money to stay on board here. I went through the whole “I can’t afford it thing also”, but if there’s a will, there’s a way. Think about it….this is like a college course that would cost you how much more??? & it’s not “text book” knowledge…it’s hands on knowledge from real people & an ongoing community of friends/family that will encourage you & answer questions. When you wake up in the morning & doubting yourself, you can come here & ask questions & read the topics & ask questions & get inspired & motivated. It’s a great place & hopefully you can somehow manage to stick around…you won’t regret it! When I was making the decision to join the board, I had to think of it as an INVESTMENT rather than a cost. This board has saved me much more money in what I have not done and in finding out what I did do wrong and the knowledge not to do it again. Ya know, years ago when I was a starving meter reader, trying to raise a family, I found this newsletter that I wanted to subscribe to and I really wanted all the back issues as well. The cost? About $700, and that was back in the late 80’s. That was a lot of money for somebody who read meters for a living and to be honest, I didn’t have $700. But I ordered them anyway on a credit card because the author inspired me. Those newsletters changed my life and are the only reason all of us are here to day. Because of those newsletters I had the courage and the encouragement to write a book and self publish it, another $4,000 on my credit card. Then a website, then Backyard Growers. Publishing that book was a huge risk and there were plenty of people who so hoped that I’d fail they couldn’t hide it, I saw it on their face. But I didn’t fail. I was determined to sell those 3,000 books in the garage. That book has now been out of print for years. But I just looked on Amazon and Free Landscape Plants!, used copies are selling from $1.11 to $100.00 a copy. Here’s my point. It is so, so easy to talk yourself out of this without the support system you have here. When discouraged you can come here and be reminded of how excited you were in the very beginning. Dreams are easy. Follow through, stick with it ness? more difficult. That’s what makes the difference. I, too, wondered whether I could justify spending the money but have found it was just a few dollars from my grocery budget and dining out budget each month! If you eat another meal or two of “beans and rice” as Dave Ramsey says, it’s amazing how much money you can come up with! My Hubby and I talked about it and decided to do the free trial but since I did the monthly budget, I just didn’t cancel it and he never commented about the cost when I continued to talk about “The Board” long after my trial was over, LOL!! I can do amazing things with hamburger when I have too!! And it’s a business expense you can use on your taxes too! So after reading all of these glowing replies to Sarah’s goodbye, wouldn’t you like to get started in your own Backyard Nursery business? I am a TOTALLY brand new NEWBIE here. I am not even sure of what I exactly signed up for, after spending over $100. But, I am a lover of gardening, and herbs and have been for many years. I only know that I have wished Horticulture was offered when I was choosing a college interest, as I have a passion for it now! My passion for gardening sparked when we had an apartment with a balcony–By the end of the summer, we couldn’t sit out there–it was so full of tomatoes! I have LOVED gardening since 1986 when my husband and I FINALLY bought a house. That’s how long I have been learning the art of gardening….and enjoying the rich produce from nature’s bounty and God’s goodness. We are both now unemployed…and still have a bountiful garden every summer which has helped us get through these hard times. But learning that we can possibly make money selling and using our love of gardening, has prompted me to learn more from this group. I am confused though-is there a welcome page, or how to begin page? Duston will contact you shortly to get you headed in the right direction. Thank you for sharing your experience of the business center, I too think it’s an awesome place. I re-joined this group for the interaction and positive feedback from the members who ALWAYS seem to point me in the right direction. Thanks again Mike and Duston for everything, Jane Louise Zone 9b. BTW, I need some help in getting to the board AFTER just re-joining this group! I was out a few months putting my plants in 1 gallon milk cartons and in a greenhouse! They are surviving well in this middle-of-winter weather in California. We just had several EL Nino rains in January 2016! How do I get back into the board. I hope Mike or Duston can help with that! Thanks to all the board members for good advice and positive feedback! I missed YOU ALL so much, I had to come back before Mike closed it off for good! I too am a newbie here. Not sure where to start so I am trying to just take one step at at time. Have looked at some videos and this is my first comment. I hope to develop a good business on my 7.5 acre mini farm. I am not a spring rooster any more so looking for ways to do gardening and growing easier. I also am very into the non GMO and organic process so am looking at more of a Permaculture farm and growing fields. I am just beginning with the process so i hope this place helps me to develop everything i am wanting in a somewhat easy or easier farm/nursery giving me many more years of hands in the dirt. Thanks for listening and any advice is greatly appreciated. Welcome aboard! You’ll do fine. Click on the forum link so you can get to the buy/sell area and the main discussion board. That’s where everything takes place. If you have questions or problems contact Duston in the office. [email protected] Once you get to the forum you’ll meet all the members and will be able to participate in all of the discussions. I signed up for the free emails from Mike and also paid the $47 for the books. When will I be able to join the backyard growers group? It says you no longer accept registration. We just closed membership, not sure when it will be open again. Probably in June. I am trying very hard to survive on social security. I was forced into retirement. This is why I need to start the plant business. I have no way of paying for membership unless I sell a good bit of plants. I have read and learned all that Mike has put out that I have received. There is little help out there that does not cost money, which puts me in a slow growth process. Any help will be useful. I recommend the business center trial while it is still open. Do the $7 test drive, put this question to the members, ask them how you can earn enough to pay for membership. They will have awesome ideas that will revolve around buying and selling some inexpensive plants. If you are a member or taking the trial, be sure to click on the forum button and interact with the other members there.